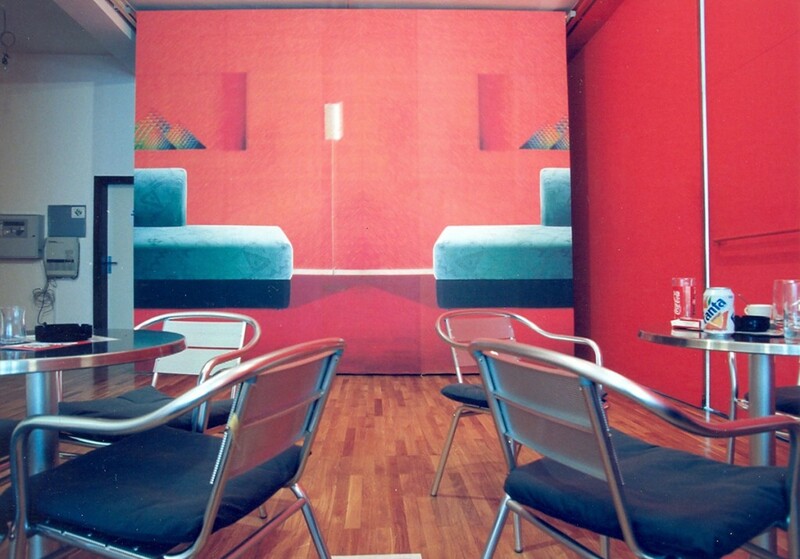 An enlarged photograph (digital ink jet print) of piece of furniture in a living room is mounted on the large panel at the Obala Meeting Point. What does it make this at-first-sight banal scene unordinary? 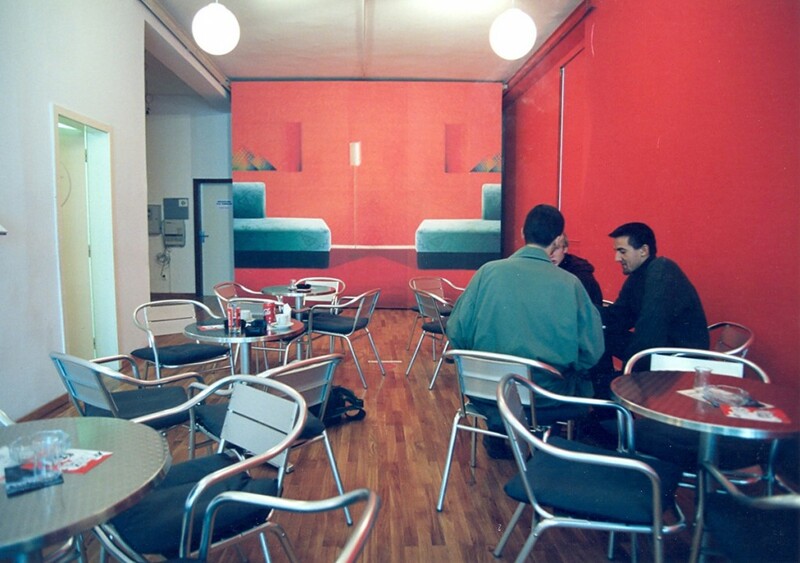 Discrete author’s interventions in the treatment of space (first and second planes, object and background), the enlargement and repetition (doubling) of the scene, give this “ordinary” photograph a new, metaphysical dimension.